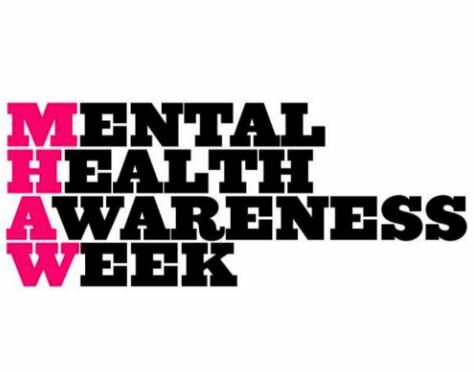 It's Mental Health Awareness Week and as part of this we want to do our best to help you enjoy matched betting as much as possible! If you try to become financially dependent on matched betting, it can become a bit stressful when you're missing your profit goal or receiving a gubbing for one of your most profitable accounts. Instead, I find viewing matched betting as a hobby works well. I will aim to make a few hundred pounds a month, if I make more, excellent, if I make less, not to worry. I have found recently too that having a hobby outside of using my laptop/mobile is helpful too. For me, this is walking around a big open field, trying to hit a very small object in it a very small hole with a very long stick, also known as golf! Whilst I do feel a little chuffed when saying to one of my housemates 'sorry I can't do the dishes right now, I'm placing my half time in-play free bet', I do try to down matched betting tools when I'm with housemates, visiting family or out with friends. There will always be offers cropping up at times when you're with family and friends who don't do any matched betting ("it's definitely a scam! "), but it's best I have found during these times that matched betting takes a back seat. Also you can try to ringfence time for matched betting each week, so if you know once the kids go to bed or are engrossed in their favourite programme (for me, this was Scooby Doo, I was like a statue watching this) or on a Saturday morning you're usually free, then you can have some focused time to profit from the bookmaker offers. Whether you're matched betting towards a house deposit, to help with the monthly bills or some extra holiday/spending money, it's definitely worth having a profit goal. It helps with both motivation I find and also nice when you reach it too. 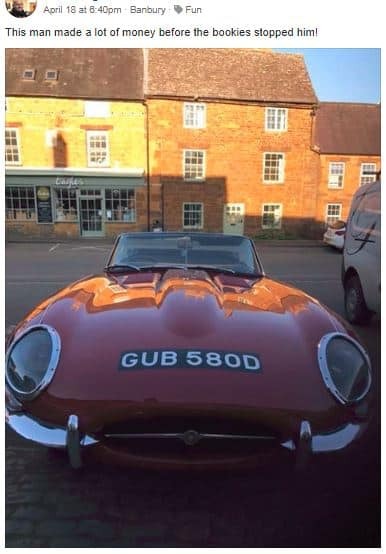 I find it helpful to have both a big goal and a small goal, so my big financial goal is to save up towards a house, whilst small goal is to then have extra spending money for visiting family and friends plus the necessary too - paying the bills! 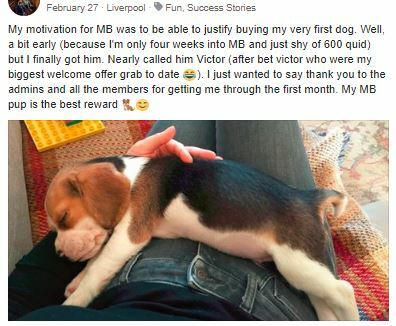 One of my favourite goals being reached this year in the Facebook Group was the arrival of Matched Betting Dog! I'd recommend joining the Facebook Group if you haven't yet, it's a great community with fellow matched betters helping each other out to profit from the bookmakers. This isn't exclusive for matched betting I think, but having offline breaks I find helpful to recharge my brain. On Sunday late afternoons and evenings, I'll usually look to switch off my wifi/4G from my mobile on laptop and just have a few hours when I'm not online. I'll read the newspaper or a book, have a nice coffee or tea with a cake and generally just take it as easy. This just means by Monday morning I'll fully refreshed for some bookie smashing! Hope these approaches may be a bit of help and a big thanks to everyone who has posted and commented with their experiences and advice in this Facebook Group post. If there is anything we can to do help anytime, please do reach out to us in the Facebook Group, Live Help or email, we'll be very happy to help you in any way we can!